Travel lovers everywhere rejoice! There is now a social app just for you. When we travel, we usually have limited time (and money), and so it’s important to make the most out of our trips and maximize our experiences. What better way to do that than through connecting directly with other travel enthusiasts. You can now do that easily with the TravelBook App. The ever-growing social app allows users to enhance their experiences by connecting with fellow travelers to share ideas, tips, advice, and even photos. It makes it easy to plan trips, knowing what sites to see, hotels to stay at, restaurants to visit, local events to attend, and the list goes on. It even helps travelers with the same destination meet up to share experiences. Currently available in iOS, the TravelBook App is very easy to use. 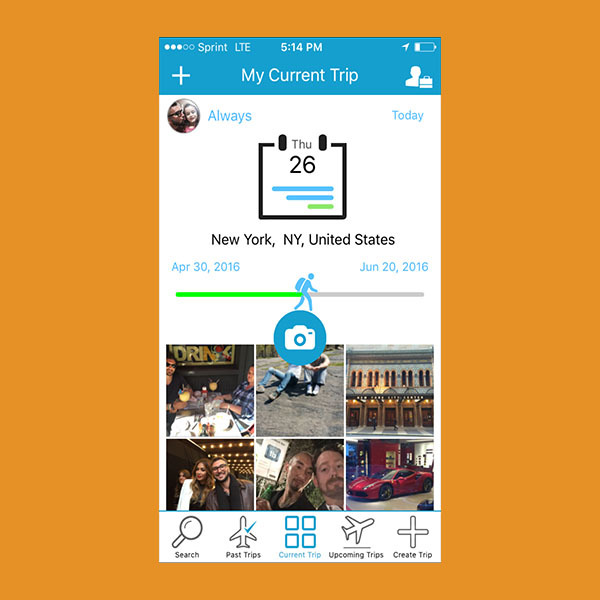 Simply download from the app store, build a trip including your destination and outlining your itinerary and start connecting! You can then see others who share your interests and destinations. When you’re on your trip you can start sharing your experiences and find out who else in your network is in the area or has been there before to connect or get suggestions on what you should do. The company, headquartered in New York City, recently launched an equity crowdfunding campaign to help build the business. “We’re very excited about raising capital through equity crowdfunding. A successful campaign will allow us to improve our existing app, build an Android version, add more functionality, and start marketing,” said TravelBook App CEO, Fabio Villari. Learn more about buying stock in TravelBook App and helping the company grow by visiting its campaign. Important Disclosure: Jumpstart Micro, Inc is a Registered Funding Portal under SEC regulation Crowdfunding 4(6)(a) and a member of FINRA. Under the regulation, Jumpstart Micro acts as an Intermediary platform for Issuers (companies selling securities in compliance with the regulations) and Investors (individuals purchasing services offered by Issuers). Jumpstart Micro does not provide any investment advice or make any investment recommendations to any persons, ever, and at no time does Jumpstart Micro come into possession of Investor funds which are transferred directly to a bank escrow account. Please see disclosures. for more details. Please do these steps to complete your profile.